Everyday our tuk-tuk will pick you up from the hotel and transfer to the Cambodia Quad Bike office. Before heading out on a ride you will be given quad bike safety training. After the briefing you will ride through small villages and rice fields and will watch the sun rising above green fields. Bright and fresh mornings allow many photo opportunities. During the length of the trip you will be accompanied by our professional guides on motorbikes. Tour finishes at Cambodia Quad Bike office . After you wash mud off your feet and take a refreshing drink, we will transfer you back to your hotel in Siem Reap. Everyday tour. You will be notified about exact time of pick up when your booking is confirmed. For groups over 2 people safety brief and familiarization training is held in the afternoon of the day before the tour. 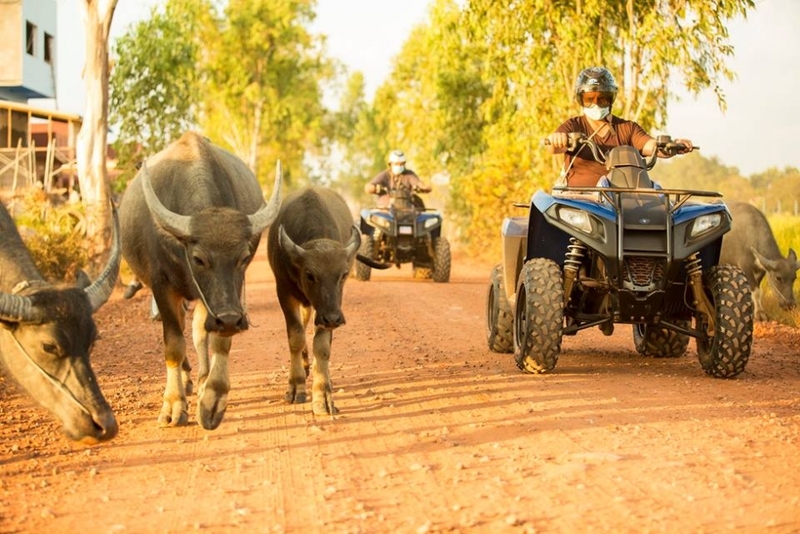 Transfers to/from the hotel in Siem Reap to the Cambodia Quad Bike office for the training are included in the cost of the trip.